Velvet Nera is a delightful and delicious combination of centuries old traditional ingredients believed to be the foundation of unifying strength and balance. These beliefs are said to tone the thought processes and encourage the discovery of inner peace within the body and soul. Inspired by three individual ancient societies, the result becomes one of reflection and contemplation. By carefully uniting the knowledge of the Romans and Vikings with that of Oriental philosophy, Velvet Nera represents a cultural fusion of East and West. 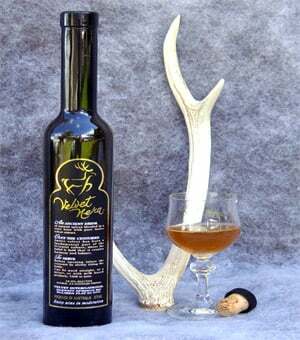 Produced in Australia from natural seasonal products, Velvet Nera is a drink containing mead and young deer velvet thoughtfully brought together with selected traditional oriental herbs, using much wisdom sought from the Korean and Chinese essential elements of Yin & Yang with the teachings of the I Ching and Tao.